Word received that Col. Davidson was unable to return to his battalion owing to nervous physical breakdown. He was examined by a medical board in London and declared unfit for further service. Born on 7 November 1870 in Montreal, Peers Davidson was the son of Quebec Chief Justice Charles Peers Davidson (1843—1925). His hockey player brother, Shirley (1872—1907) won multiple Stanley Cups with the Montreal Vicrorias in the 1890s. Another brother, Thornton (1880—1912), died during the Titanic sinking. A graduate of McGill, Peers Davidson was an advocate with a Montreal law firm, commodore in the Royal St. Lawrence Yacht Club and commanding officer of the 5th Regiment, Royal Highlanders of Canada. In spring 1915, Davidson was appointed to raise the 73rd Battalion from Montreal. It deployed to the battlefields of France in August 1916 as part of the 12th Infantry Brigade 4th Division . Suffering from Valvular Disease of the Heart and high blood pressure, Davidson was forced from the field in December 1916. 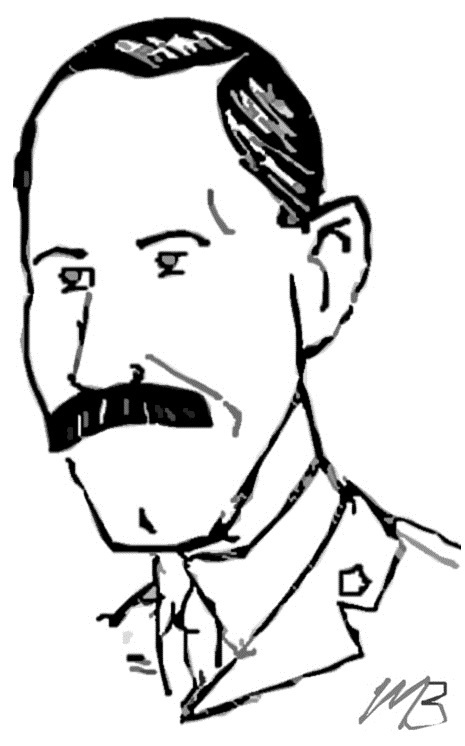 Command passed to Major H.C. Sparling. Following the battle of Vimy Ridge in April 1917, the 73rd was removed from the line. The men were dispersed between the 13th (Royal Highlanders of Canada), the 42nd (Royal Highlanders of Canada) and the 85th (Nova Scotia Highlanders). 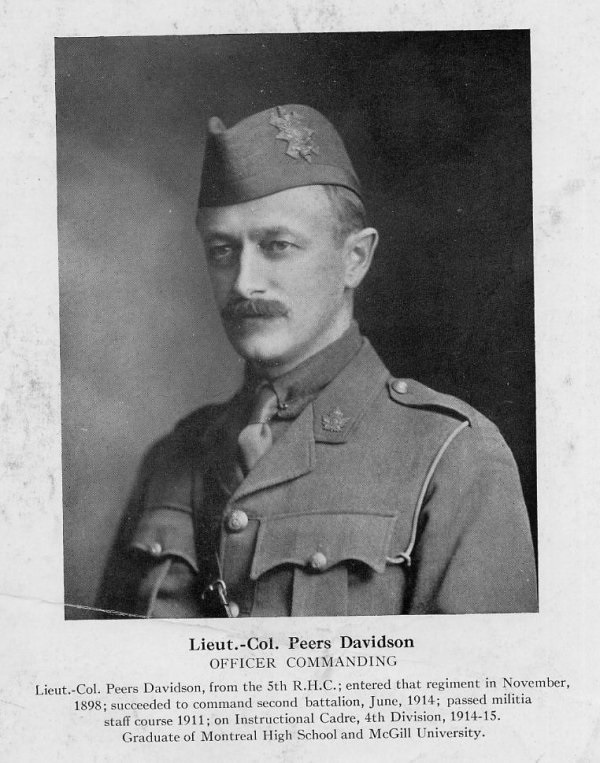 Due to ill health, Davidson resigned his commission in January 1917 and returned home with his family, who had joined him overseas. When the USS Finland pulled into New York, his father, the former Quebec Chief Justice, greeted his returning son. Davidson never recovered. He died of heart disease three and a half years later on 19 July 1920.